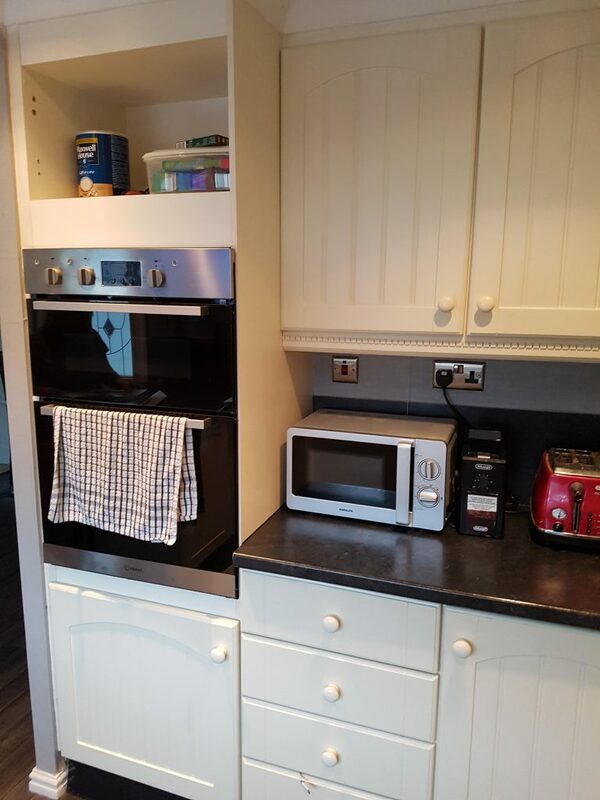 The old kitchen was worn and chipped and the dark work tops made the room look and feel smaller than it was. The client wanted a kitchen that would brighten the room, modernise their home and give the wow factor when friends and family visit. We sat with the client and designed the kitchen from the ground up. They wanted to keep the layout more or less the same as it maximised the space already available. 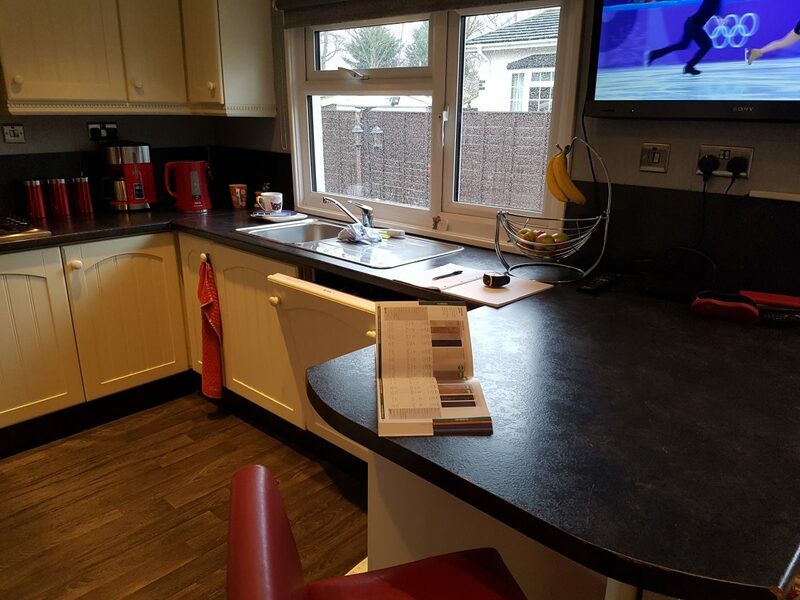 To achieve the wow factor we recommended modern high gloss units, sparkle work tops and matching splash backs and led lights on the kick boards, and under the work tops and cupboards. The lights highlight the glossy cupboard fronts and makes the sparkle in the worktops really sing. Built in appliances ensure the kitchen is uniform and gives a clean and tidy finish to the room. The client is understandably delighted! 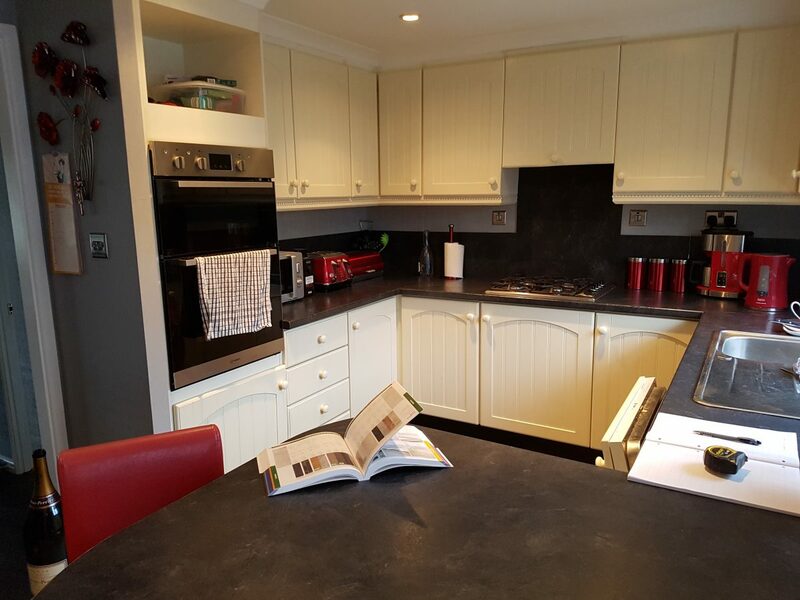 Learn more about kitchens from Black Box Homes.